Apple's next-generation iPhone design is so thin that engineers are mulling the removal of the standard 3.5mm headphone jack, meaning users might have to invest in Lightning or Bluetooth-connected headphones, according to a rumor on Friday. Citing sources familiar with Apple's plans, Mac Otakara reports next year's iPhone, tentatively dubbed "iPhone 7," will come sans headphone jack to accommodate a form factor that supposedly shaves more than 1mm off current iPhone thickness. The change is perhaps inevitable, as the existing 3.5mm industry standard jack module is already a tight fit in Apple's iOS hardware. As part of the transition to Lightning, Apple will reportedly outfit its gratis EarPods headset with a digital-to-analog converter integrated into its plug. Third-party manufacturers might be forced to follow suit or create a Lightning-to-analog adapter if one is not provided by Apple. 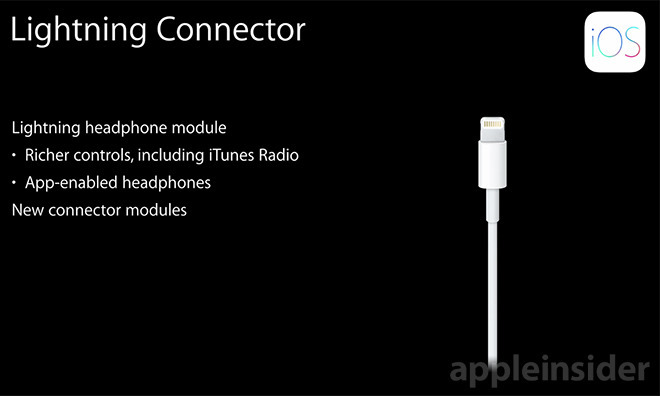 Apple hinted at a potential move to Lightning-enabled headphone accessories at a "Designing Accessories for iOS and OS X" session at WWDC last year. Apple's solution breaks out analog audio from iPhone's full digital signal, offering increased bandwidth and access to system controls. In addition, the Lightning standard can supply power to advanced headphone models, obviating the need for bulky battery packs. At the time, Apple said it was working on low-profile connector modules for manufacturers looking to build in hardware support. Some companies are already taking advantage of Lightning audio, including Philips and JBL, which debuted new Lightning-compatible models at CES earlier this year. Philips was first to market in 2014 with its Fidelo M2L, a high-end headphone featuring onboard amplification and a 24-bit DAC. 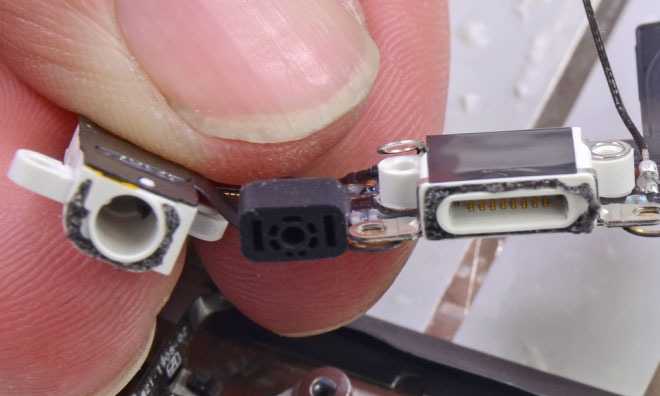 Apple has been investigating 3.5mm jack alternatives for some time, likely knowing the component would one day be a limiting factor in its increasingly thin device designs. A patent published in September, for example, outlined a tip-ring-ring-sleeve (TRRS) plug and receptacle that cut down on excess material by employing a D-shaped connector.